Normally, toys are discussed with kids. However, things go differently in the equity world where you will find every sort of person talking about every other thing. Therefore, I have taken the liberty to discuss toy stocks in this post. The company announced earnings on April 22. According to consensus estimates, the company was expected to post revenue of $638 million and an EPS of $0.04. However, the company managed to beat both estimates. The beat came due to the fact that the company’s inventory position is cleaner this year. The Boys division was down 20%, which was offset by a 23% revenue growth in the Girls division and 26% in Games division. Higher gross margins (+60 bps) and lower royalty expenses (+90 bps) more than offset SG&A deleverage (-90 bps). 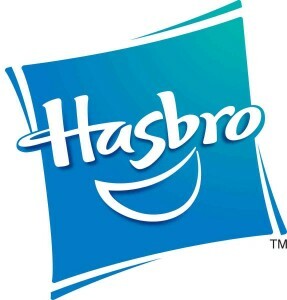 2013 is expected to be affected by a weak Euro, given that Hasbro, Inc. (NASDAQ:HAS) brings in 26% of its revenue from Europe. The stock is regarded as one of the highest dividend yielders in the consumer goods sector. The dividend yield of 3.6% has led Goldman Sachs to increase the target price by $4 to $40 (the forward P/E multiple has been raised from 13x to 14x). Mattel, Inc. (NASDAQ:MAT) has almost a similar revenue base like Hasbro’s, especially as its geographical revenue exposure matches to that of Hasbro’s. Therefore, a weak Euro will likely affect the company’s earnings for the year. It reported earnings on April 17. The bottom-line improvement came from SG&A leverage. The stock pays a dividend yielding 3.35%. Currently, the stock is being valued at 15x times forward earnings, which gives us a price target of $42, given that the company is expected to post 2013 EPS of $2.80. The higher multiple for Mattel, Inc. (NASDAQ:MAT) reflects its superior fundamentals as compared to Hasbro, Inc. (NASDAQ:HAS). The main point of contention is that many believe that the recent rally witnessed by both these stocks; Hasbro (up 26% YTD) and Mattel (up 16% YTD), might not be sustainable given the tepid domestic sales trend. Moreover, the earnings beat by both the stocks has propelled them even higher.